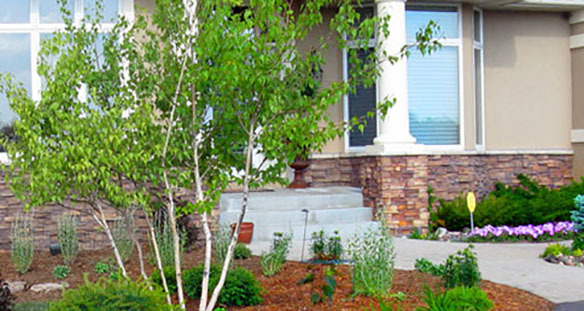 Van Buren Landscape is a company that has built its reputation on quality, honesty, and educated knowledge. Our goal is to provide each customer with the education on thei need and great quality work to make sure each customer is happy when the project is complete. Van Buren Landscape is a full service landscape company that has been providing top quality landscape installs for its customers for the past 19 years. The president of the company has worked in the industry for 27 years. We are a licensed and insured. The owner is a certified Minnesota nursery and landscape professional. We continue to go to seminars in the winter to stay up to date with new plants and improvements to our industry. What is important to us is making sure that the job is done right and to the customer's satisfaction. We provide a wide variety of landscape services, so if you have a need for a qualified professional to install that special enhancement for your yard or place of business, we can do it! We would like to talk with you about how Van Buren Landscape can help you with your next project. Please contact us today, the season is filling up fast!